This Access tutorial explains how to use DoCmd.TransferSpreadSheet Method to export and import files. TransferType Optional The type of transfer you want to make. The default value is acImport. acExport 1 The data is exported. acImport 0 (Default) The data is imported. acLink 2 The database is linked to the specified data source. SpreadsheetType Optional The type of spreadsheet to import from, export to, or link to. 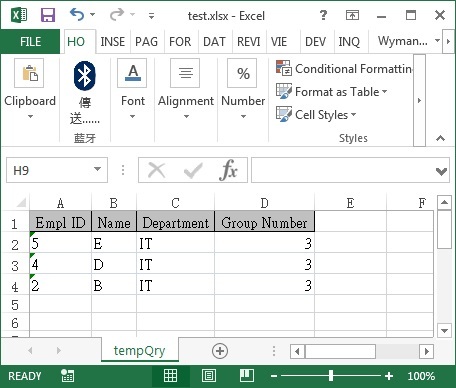 TableName Optional A string expression that is the name of the Microsoft Office Access table you want to import spreadsheet data into, export spreadsheet data from, or link spreadsheet data to, or the Access select query whose results you want to export to a spreadsheet. FileName Optional A string expression that’s the file name and path of the spreadsheet you want to import from, export to, or link to. HasFieldNames Optional Use True (–1) to use the first row of the spreadsheet as field names when importing or linking. 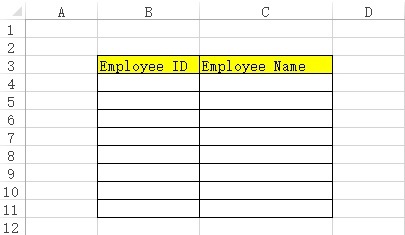 Use False (0) to treat the first row of the spreadsheet as normal data. If you leave this argument blank, the default (False) is assumed. 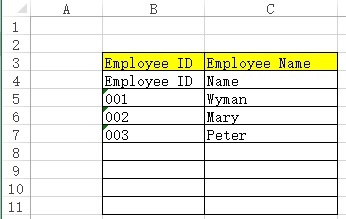 When you export Access table or select query data to a spreadsheet, the field names are inserted into the first row of the spreadsheet no matter what you enter for this argument. Range Optional A string expression that’s a valid range of cells or the name of a range in the spreadsheet. This argument applies only to importing. Leave this argument blank to import the entire spreadsheet. When you export to a spreadsheet, you must leave this argument blank. If you enter a range, the export will fail. UseOA Optional This argument is not supported. Now you get the below file. Note that the headers squeeze together. Alternatively, you may also use DoCmd.OutputTo Method, the syntax is slightly different, and you will get well formatted headers same as that in Access Query. However, the file size is larger and it takes longer time to export. The below code imports the data with headers of test.xlsx to Access table “importTable”. If the table does not exist, the table will be created. If the table already exists and contains data, the newly imported data will be added beginning from the last record. 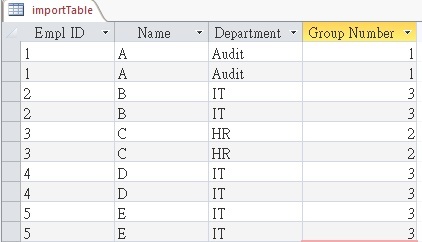 Creating a Table before import also ensure the data type of each field is what you expect; otherwise the data type will be automatically determined. If you rerun the Macro, a new set of data will be imported again. I have created another post specifically demonstrates how to import Excel to Access, including importing all workbook all worksheets to Access Table, click here to read. 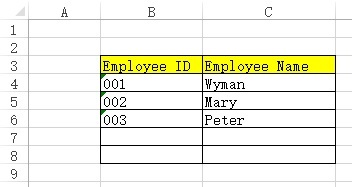 In order to export Query 1 data to the template, Name the Excel Range B4:C10 as exportRange (you can define your own name). Your export Range can be larger than the actual export size. If you specify a Range name in the argument but it doesn’t exit in Excel, the argument name would become the Worksheet name. DoCmd.TransferSpreadsheet TransferType:=acExport, SpreadsheetType:=acSpreadsheetTypeExcel9, TableName:="Query1", FileName:="C:\test\template.xlsx", Range:="exportRange"
Now the Query is inserted into the exportRange. Unfortunately the header must need to be included when export, there is no argument to control whether the header is exported. As a workaround, we can write a Macro in Access to delete row4 in Excel. 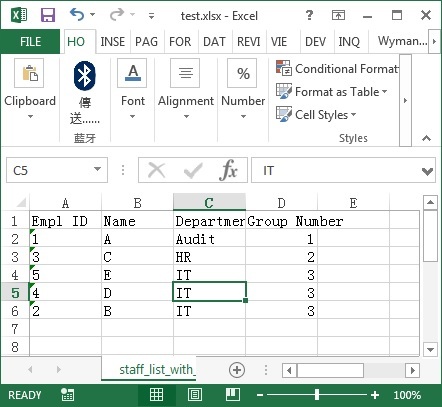 If you are interested in learning how to run Excel Macro in Access, click here. Thank you, I had used this VBA command before but I just could not remember how to use it! Your clear notes explained exactly what I needed to know. Thanks again. Andy, it is very difficult even for me to remember this even though I have use numerous times! You’re awesome! Been trying to figure this out for 3 days. Simple and clear explanation! A question: can I set the data type of the fields using this DoCmd.TransferSpreadsheet acImport? Hi Diego, I would suggest you to import the data into Access manually and you will find there are options for you to define data type of each field, then delete all the data. Afterwards, everytime you import data into Access, import into the same table.